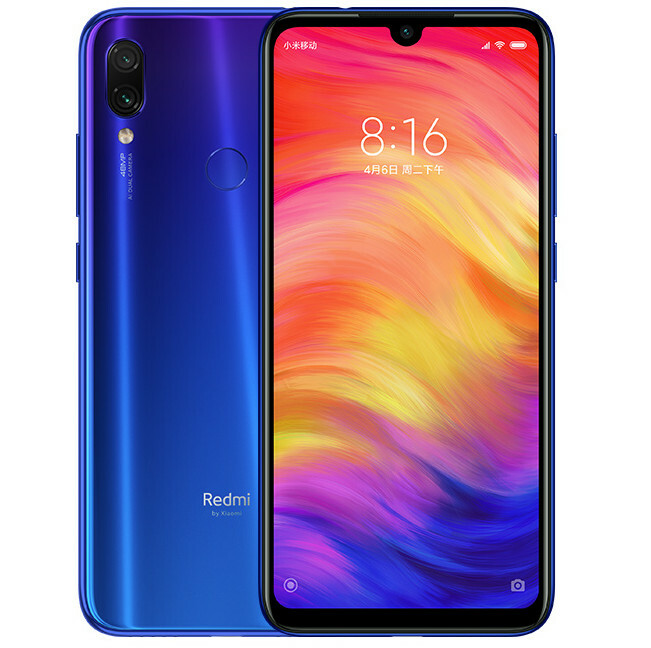 Xiaomi just announced Redmi Note 7, the company’s latest mid-range smartphone under the new ‘Redmi by Xiaomi’ brand in China, as it had promised. The phone packs a 6.3-inch Full HD+ waterdrop notch display with 1.95mm narrow bezels, is powered by Snapdragon 660 with up to 6GB of RAM, runs Android Pie with MIUI 10 on top. The main highlight of the smartphone is its 48-megapixel rear camera with 1/2″ Samsung ISOCELL Bright GM1 sensor, f/1.8 aperture with four-in-one pixel binning to make an 12MP image with 1.6μm pixel. It has a 5-megapixel secondary camera for portrait shots and also comes with AI features. There is a 13-megapixel camera on the front. It has a glass back with gradient design, rear-mounted fingerprint sensor and packs a 4000mAh battery with support for Qualcomm Quick Charge 4.0. 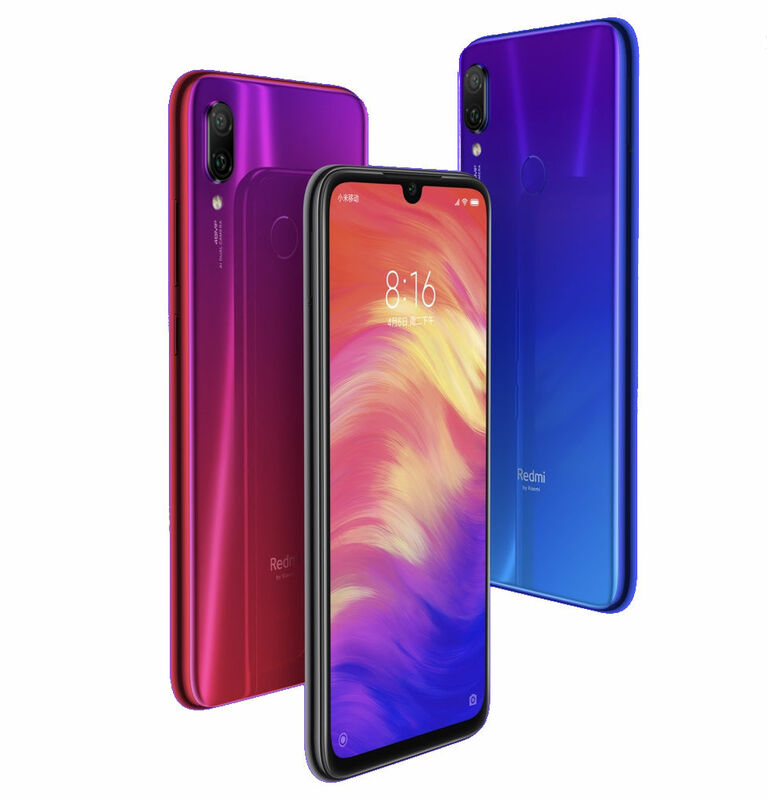 The Redmi Note 7 comes in Black, Blue and Purple colors, is priced at 999 yuan (US$ 147 / ₹ 10,390 approx.) for the 3GB RAM with 32GB storage version, 4GB RAM with 64GB storage version costs 1199 yuan (US$ 176 / ₹ 12,460 approx.) and the 6GB RAM with 64GB storage version costs 1399 yuan (US$ 205 / ₹ 14,540 approx.). It will be available for order in China from today and goes on sale from January 15th. The company is providing 18 months warranty instead of regular 12 months. Xiaomi said that it has gone with the Samsung sensor instead of Sony IMX586 sensor for the Redmi Note 7 due to issues with mass production of the sensor, probably since Honor has bought everything for its Nova 4 and V20. 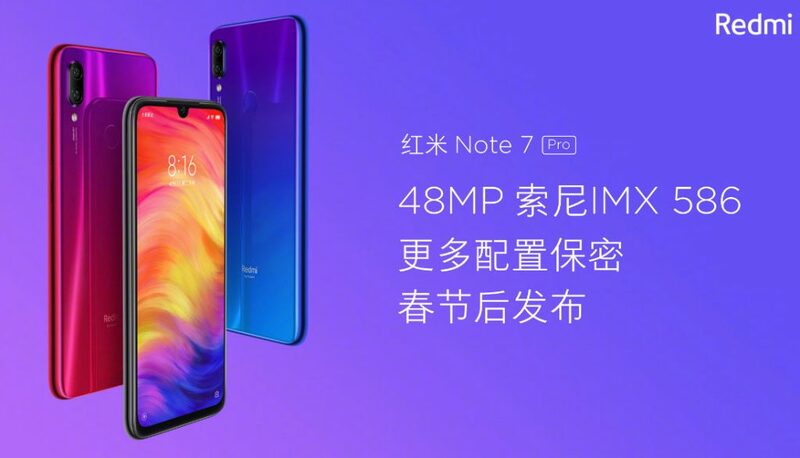 It said that it will introduce the Redmi Note 7 Pro with the Sony sensor and improved specifications in the Spring.